Suitable to process sail cloth, awnings and filter Cloth. Cut all Kinds of fabrics. It will heal the contact area while cutting, which results is smooth and even cut surface. 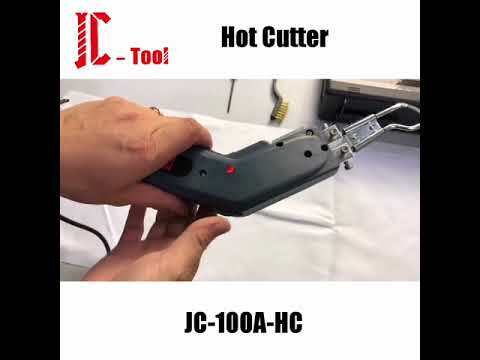 Adjustable hot knife cutter temperature according to the materials it can be used constantly. Equipped with different blades, it cuts different shapes and angles products. No rough burr after cutting. Long lifespan and can non-stop run. Much lighter and easier for shipping with low freight cost.